Morten does an advert on Norway's channel 3 to help promote Bellona. The organisation suffered a lot since Hauge's drug accusation in 1989. During the first two weeks of January, a-ha work on their new live show in London. 6	"I Call Your Name" spends its last week in the UK Top 75; a total of 5 weeks altogether. 14	a-ha start another tour, this time the shows are nearer 115 minutes long and include the songs "Cry Wolf", "Here I Stand And Face The Rain", "Slender Frame", "Manhattan Skyline", "Touchy! ", "Rolling Thunder", "The Sun Always Shines On TV", "Scoundrel Days", "Hunting High And Low", "Sycamore Leaves", "I Call Your Name", "Hurry Home", "Crying In The Rain", "(Seemingly) Nonstop July", "The Blood That Moves The Body", "Take On Me", "I've Been Losing You", "The Living Daylights" and "Stay On These Roads". The tour begins in their home country of Norway at the Spektrum, Oslo. a-ha are the first rock act to play in this new venue. The band on tour with them are Norwegian bass player Jørun Bøgeberg, Norwegian drummer Per Hillestad and saxophonist Sigurd (Siggy) Køhn. In the news section, NRK shows some live clips of the concert and some of a-ha's family including Camilla. 14? a-ha do an interview for the German TV show "Pop" (Tele5) before one of their Oslo shows. They broadcast it together with some live clips on 26 January. 17-28 February	During the Gulf War, the UK's BBC puts several songs on a black list because they think they are not appropriate to be played during the war. a-ha's "Hunting High And Low" is on the list. Other songs include Abba's "Waterloo" and Nicole's "A little peace". 18	The planned show at Globen, Stockholm, Sweden, which has already sold out, is cancelled as there isn't time to do this before the show in Rio. 19? The show Copenhagen, Denmark is also cancelled due to the time constraint. 21	In Brazil, a-ha are interviewed by "Aftenposten". The plans for their stay in Rio include a day trip to Sao Paulo for a record signing; a press conference for Rock in Rio and a search for a smaller venue to play a live show before they go on stage at the Maracana Stadium. 22	a-ha's press conference, organised by the Rock in Rio promoters, takes place at Rio Palace Hotel. 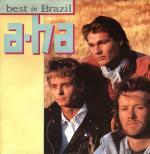 In Rio, a-ha are amongst the artists filmed at the pool and in the hotel by Run DMC. Parts of this film is included in the Run DMC video "Faces", although a-ha's scenes are cut out (revealed by Disco Club on MTV news in March). 26	a-ha take part in the Rock In Rio II festival, Maracana Stadium, Rio de Janeiro, Brazil. The show is sold out and they break the world record for the attendance of the biggest paying crowd with 198,000 people and hence make it into the Guiness book of records. "Early Morning" replaces "Hurry Home" in the set list. 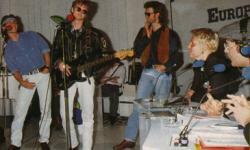 Directly after the concert, a-ha go to a TV studio to mix the sound on the recording. The festival gets a lot of coverage on the TV: MTV interviews a-ha and filmed at the soundcheck. The UK TV show "Good morning Britain" broadcasts clips of a-ha in Rio leaving the hotel, an interview with the band and some live clips from the soundcheck. Norwegian TV "TV1000" broadcasts the first of two programmes about the Rock in Rio Festival. Tele 5 broadcasts the TV show "POP" which includes a report on the start of the tour in Oslo; an interview with Morten and Pål plus some live clips from the concert (Crying In The Rain and Take On Me). 27	"TV1000" broadcasts the second of two programmes about the Rock in Rio Festival. A meeting is set up with Brazilian record company bosses where a-ha also meet US singer Debbie Gibson who tells Pål that she attended a US a-ha concert in 1986 when she was 12. Reports about "Rock In Rio II" are shown on TV channels world-wide, including: the German TV show "Elf 99" (interview at the soundcheck and "Take On Me" live), the Spanish TV channel "TVE" (interview clips from Rio and "Take On Me" live), the German TV show "Premiere" (three songs from Rock in Rio II: "Take On Me", "Hunting High And Low" and "The Living Daylights") and the UK's "MTV News at Night" (report with "Touchy!" live). 31	a-ha are still in Rio de Janeiro, Brazil. The German TV show "POP" (Tele5) reports about Rio and shows a-ha leaving the hotel to go to the soundcheck. MTV reports on the "record crowd" a-ha had in Rio. They show clips of the soundcheck, an interview, "Crying In The Rain", "Take On Me" and "Touchy!" live at the concert plus they reveal some of the "a-ha European tour" dates. 2	The "Spellemannsprisen '90" takes place at Chateau Neuf in Oslo. a-ha are nominated in the "Pop" category with their album "East Of The Sun, West Of The Moon", but Sigvart Dagsland wins the award with his album "Alt eg så". a-ha are not present at the awards. 15	a-ha spend the next 3 days in Paris for some promotion. 16	In Paris, a-ha perform "I Call Your Name" on the TV show "Le monde est à vous". 17? The TV show v-show "Le monde est à vous" is broadcast? 20	a-ha are in San Remo, Italy for the international show at the Festivale di Sanremo. After some rehearsals, a-ha perform "I Call Your Name" at the festival. The Italian channel "RAI" broadcasts the festival and a short interview with Morten on his spiritual life. In the small old village, Bussana Vecchia, a-ha are filmed having lunch and are interviewed for the TV show "Rock Café". This interview is split up into two parts and broadcast during the next two days on "RAI2". 21	Part one of the "Rock Café" interview is broadcast on "RAI2". 22	Part two of the "Rock Café" interview is broadcast on "RAI2". The first night of the UK leg of the tour is at the Apollo Theatre in Manchester, England. "You Are The One" replaces "Scoundrel Days" and	"Here I Stand And Face The Rain" in the set. 23	Royal Concert Hall, Nottingham, England. 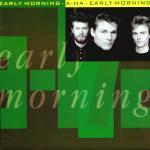 25	"Early Morning" is released in the UK, it fails to make the Top 75; reaching number 84. The 7" single is available as a limited edition box-set. The box contains the regular 7" single plus three black and white postcards plus a laminated fake "Access All Areas" tour pass. The video for the single features shots of the band during the Rock In Rio II festival and is directed by Michael Burlingame. 26	Hammersmith Odeon, London, England. Clips from this show are broadcast on MTV. 27	MTV's "News at night" reports on the start of a-ha's European tour and they show "Cry Wolf" live at the Hammersmith Odeon in London on 26 February. 1	In Hamburg, a-ha do an signing session in the German record store "WOM". There is a press conference held in Hamburg and some parts of it are later broadcast on different TV shows ("Elf 99", "Premiere", "Logo"). A soundcheck takes place at the Alsterdorfer Sporthalle, some children are allowed in to watch and do an interview for the TV show "Logo" (ZDF) and they record a clip of "I Call Your Name" at the show. The German TV shows "Premiere" and "Elf 99" broadcast reports on the Hamburg concert. "Premiere" shows "The Sun Always Shines On TV" and "Hunting High And Low" live clips plus some of the signing session, whereas "Elf 99" shows "Touchy!" live clips of the press conference. 3	Schleyerhalle, Stuttgart, Germany; this show is broadcast on German Radio. 4	Rudi Sedlmayr-Halle, Munich, Germany. UK's MTV broadcasts a report on a-ha at Rock in Rio II with an interview plus "Touchy!" live in Rio and "I've Been Losing You" live at Hammersmith Odeon on 26 February. 10	a-ha fly to Austria ready for the show in Vienna. 11	a-ha do a press conference in Vienna. Wiener Kurhalle, Vienna, Austria. 14	a-ha fly back from Zürich. a-ha do an interview in the studio for NRK, Norway. 4	a-ha got from Schiphol airport, Amsterdam to Den Haag. Congressgebauw, Den Haag, Holland. 5	Salle Chanzy, Tourcoing, Lille, France. The set list is changed to accommodate "East Of The Sun" instead of "You Are The One". The Norwegian channel "TV Norge" broadcasts two hours of rock highlights from the Rock in Rio Festival. 6	Le Galaxie, Amneville, Metz, France. The Norwegian channel "TV Norge" broadcasts two hours of the pop highlights from the Rock in Rio Festival. 7	Halle Tony Gardier, Lyon, France. 9	Palais des Sports, Mulhouse, France. 10	In Paris, a-ha do some promotion for the radio station "RTL". 11	The promotion continues and a-ha are interviewed on the French Radio station "Europe 1" for the show "Les Roucasseries". Le Zenith, Paris, France. 12	On French Radio stations "RTL" (for "Studio 22") and "NRJ", a-ha are interviewed. 17	There is an interview with a-ha on "Hit - NRJ".Le Zenith, Montpellier, France. 19	Parc des Expositions, Annecy, France. 20	Palais des Sports, Marseille, France. 23? The French TV show "T'empeches tout le monde á zapper" (FR3) broadcasts an interview and an unplugged version of "East Of The Sun". 24	International Centre, Harrogate, England. 25	City Hall, New Castle, England. 26	City Hall, Sheffield, England. 28	Newport Centre, Newport, Wales. 30	Morten is interviewed on UK breakfast TV show, "TV-AM" to promote "Early Morning". A recorded interview with Morten is broadcast on "Sud Radio", France. Pavilion, Bournemouth, England. 2	Hammersmith Odeon, London, England. The NRK special "Østenfor Sol, Vestenfor Måne" is recorded during three intensive days at a TV studio in Oslo. The initiative for the programme came from NRK's Odd Arvid Strømstad who convinced a-ha that the programme should focus on their music, with just some additional text, written and spoken by Norwegian writer, Lars Saabye Christensen. Some short footage from their tour was added between the songs. 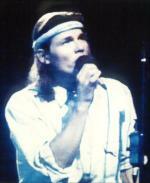 5	Morten's son, Jonathan Henning Adler Harket is baptised. 17	The south American tour begins at Estádio Mané Garrincha Stadium, Brasilia, Brazil. As well as playing in the major Brazilian cities, they also go to smaller places where international artists haven't played before and to places in Chile and Argentina. This causes the staff to be confronted with technical challenges, but all shows go ahead. 18	Estádio Olimpico de Goi&ahat;nia, Goi&ahat;nia, Brazil. 19	Estádio Municipal Parque do Sabiá, Uberl&ahat;ndia, Brazil (approx 25,000 attend). 21	Minheirinho, Belo Horizonte, Brazil. 24	Estádio Palma Travassos Commercial F.C., Ribeiri&ahat;o Preto, Brazil. 25	"Waiting For Her" 3" CD is released in Japan. Ginásio do Ibirapuera, São Paulo, Brazil. 26	Ginásio do Ibirapuera, São Paulo, Brazil. 27	Estádio Brinco de Ouro, Campinas, Brazil. 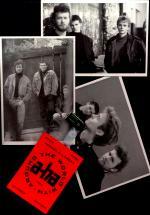 29	An interview with a-ha is broadcast the "Coca Cola report" on "MTV News". Ginásio do Ibirapuera, São Paulo, Brazil. 31	Ginásio Paulo Sarazarte, Fortaleza, Brazil. The albums "Best In Brazil" and "a-ha en Argentina" are released in Brazil (selling 142,000 copies) and Argentina respectively. There are also special Brazilian phone cards made especially for the South American tour with the motto "Walk Under Sun Dance Under Moon". Lauren Savoy is busy filming the concerts and backstage clips during the South American tour for the forthcoming video "Live In South America" (released 1993). 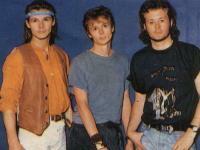 In South America, a-ha also start work on some of the songs for their forthcoming album. 5	Centro de Convenções de Bahia, Salvador, Bahia, Brazil, approximately 18,000 people attend. Set list: I've Been Losing You, Cry Wolf, Slender Frame, Manhattan Skyline, Touchy!, Early Morning, (Seemingly) Nonstop July, The Sun Always Shines On T.V., Hunting High And Low, Rolling Thunder, You Are The One, I Call Your Name, East Of The Sun, Scoubdrel Days, The Blood That Moves The Body, Take On Me, Crying In The Rain, The Living Daylights, Stay On These Roads. 7	Ginásio de Esportes Gigantinho, Porto Alegre, Brazil. 8	a-ha go to Buenos Aires, Argentina for the next leg of their tour. A recorded interview with Morten is broadcast on French Radio "RMC". 9	a-ha do some TV promotion, they perform 4 songs (ICYN, SOTR, CITR and HHAL) on the show "Ritmo de la Noche". Luna Park, Buenos Aires, Argentina. 10	The Argentinian TV programme "La TV Ataca" shows an interview with Morten in a cafe and "Touchy!" live at Luna Park on 9 June. Luna Park, Buenos Aires, Argentina. The last episode of "Twin Peaks" (directed by David Lynch) is aired for the first time. As a big Lynch fan, Pål sent him a tape containing 3-5 songs, amongst them "Sycamore Leaves", in the hope that he might sometime direct an a-ha video. Lynch was too busy with "Twin Peaks" to work with a-ha. Never-the-less Lynch rips of the song "Sycamore Leaves" in this last episode (slightly changed, but with the same structure and called "Sycamore Trees") but doesn't credit Pål. Whilst in Chile, the tour promoter is worried about high pollution levels in the capital so takes the band skiing in the Andes. 13	Estádio Chile, Santiago, Chile. 14	Estádio Chile, Santiago, Chile. 15	Estádio Chile, Santiago, Chile. Morten was due to take part in a 5km run in Oslo to promote the new opera building, but he can't make it due to the South American tour. 16	Extra concert: Obras Stadium, Buenos Aires, Argentina. 18	a-ha return to London where they go into the studio to work on a compilation album. 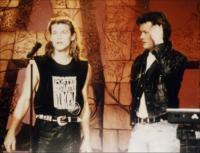 23	On the French TV show "Blue Jeans", there is an a-ha special with interviews from the tour, live clips and videos. 27	After the benediction of the new Norwegian King Harald on June 23rd in Oslo, he and his family go on a circular sailing trip in Norway to visit their country. On 27th June, they go to Kristiansand and visit the "Kardemomme by" in the zoo, unveil a new fountain sculpture by Kjell Nupen in the Otterdalspark and invite 1,500 guests to the Myren Gård for a belated St. Hans party with fish soup, icecream and cake, music and dancing. The members of a-ha, who are on holiday at Morten's father's house near Kristiansand, are amongst the people who welcome their new King to Kristiansand. Magne has his son Thomas with him and Pål goes there with Lauren. 5	In Kristiansand, Norway, Morten attends the celebration of the town's 350 year anniversary. He performs four songs with Bjørn Eidsvåg: "Let It Be Me", "Bye Bye Love", "All I Have To Do Is Dream" and "Be Bop A Lula". Sigurd Køhn is participating at the same show and plays an instrumental piece. a-ha finish work on their new compilation album "Headlines and Deadlines - The Hits of a-ha"in Oslo. 6	In the Norwegian newspaper "Dagbladet", there is a feature on a-ha about the NRK a-ha special to be broadcast 7 September. 7	Norwegian NRK TV broadcasts a 40 minute a-ha special "Østenfor Sol Vestenfor Måne". The show includes 8 live songs "(Seemingly) Non-stop July", "I've Been Losing You", "I Call Your Name", "Manhattan Skyline", "Sycamore Leaves", "Early Morning", "East Of The Sun" and "Crying In The Rain" recorded at NRK studios in Oslo. Between the songs are lyrics written and read by Lars Saabye Christiansen. A novel written by Morten's brother Håkon and Jan Erik Hansen on the culture in Europe between the falling of the Berlin wall and now, "Poste Restante Europa", is published at Tiden Norsk Forlag. Morten advertises the book for the rest of the year by wearing a black muscle shirt with the title printed on it. Magne and Kjell Nupen work together on some lithographs in Toulouse, France. "Move To Memphis" is released in Norway; it goes to number 2 and stays in the Top 100 for 6 weeks. 11	"Move To Memphis" is released in Germany. 12	Morten and Pål are guests on the NRK TV show "Fra Galleriet" in Oslo. 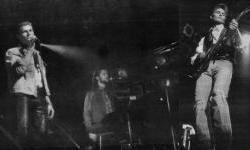 They broadcast a previously recorded performance of "Move To Memphis" and "Hunting High And Low". Mags is not present on the show as he is celebrating his Mum's birthday. 14	"Move To Memphis" is released in the UK; the video to which features the French actress Beatrice Dalle and was directed by Erick Ifergan. a-ha are in Oslo to present the new compilation album "Headlines and Deadlines - The Hits of a-ha. They give individual interviews for the Norwegian press at the Grand Hotel. 19	Morten is guest on the (Swedish?) TV show "I kväll Robert Aschberg" which is recorded in Oslo. 20	"Move To Memphis" enters the UK Top 75 at its highest position of number 47. 25	NRK broadcasts clips of the interviews at Grand Café and shows the video for "Move To Memphis". 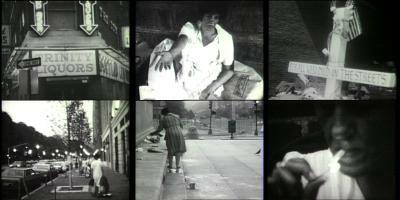 26	"Move To Memphis" promo video is shown on the UK music Programme "The Chart Show". 27	"Move To Memphis" spends its last week in the UK Top 75, lasting just 2 weeks. 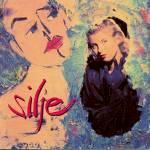 Silje Neergaard releases her album "Silje" which features a duet with Morten on the song "Where You Are". The album "Headlines And Deadlines" is released in Norway; it goes to number 9 in the charts and stays in the Top 100 for 5 weeks. 1	a-ha travel from Norway to London where they are interviewed on "TV-AM" and cook "Pepper Pot soup" with Rusty Lee. Mags also cuts a face into a pumpkin. The album "Headlines And Deadlines-The Hits Of a-ha", together with a video of the same title is released in Germany. The album "Headlines And Deadlines-The Hits Of a-ha" and video of the same title is released in Germany. 1? a-ha's performance of "Hunting High And Low" is broadcast on the Swedish TV show "Doremi". 4	The album "Headlines And Deadlines-The Hits Of a-ha" and greatest hits video of the same title is released in the UK and France. The video release includes all of the promotional videos to date excluding "I've Been Losing You", "The Living Daylights" and "Move To Memphis" (this was included on the forthcoming DVD release). It also includes "I've Been Losing You" and "Sycamore Leaves" recorded live at the NRK studios in May 1991 plus a video for "There's Never A Forever Thing" which was directed by Lauren Savoy. Steve Blame and Rebecca de Ruvo both visit a-ha in the studio in Oslo to interview them for MTV. Rebecca's interviews are shown on "MTV Prime" and Steve's interviews are shown during "Week in Rock". 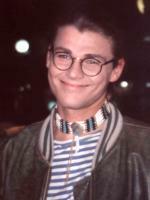 A comment from Morten about AIDS is also recorded which is broadcast on World Aids Day (MTV). 6	"Move To Memphis" makes it to number 2 in Norway. 7? Part one of the interview with Rebecca de Ruvo and a-ha in their Oslo studio is broadcast on "MTV Prime". 7	In Bussum, Holland, a-ha are interviewed and perform "Hunting High And Low" and "Move To Memphis" on the TV show "Countdown". On another Dutch TV show, a-ha perform "Move To Memphis". 8	Part two of the interview between Rebecca de Ruvo and a-ha is broadcast on "MTV Prime" and they listen to clips of demos (DITN and MB) from their forthcoming album. 9	A piece on a-ha is printed in the UK magazine "Hello!". 10	"Headlines And Deadlines" enters the UK album charts; it goes on to reach number 12. 10? For the show "Week In Rock" on MTV, Steve Blame interviews Morten in the studio and also shows some highlights of Oslo such as the Rådhuset and Karl Johans Gate. 11	An interview between Morten and Steve Blame is broadcast on "MTV". Morten's brother Håkon and Jan Erik Hansen give a pressconference in Oslo at Hotel Continental in connection with their cultural novel "Poste Restante Europe". 14	a-ha go to "Ricordi Megastore" music shop in Milan where they are interviewed by Patrizia for radio "rete105". Mags does most of the talking during the interview. a-ha are also interviewed for the 30 minute "Video Music Special '92" and "Top 20" on Italia 1 (on this show, they also perform "Move To Memphis"). 15	In Rome, Italy a-ha are interviewed for the TV channel "TMC" which will be included in the show which will be shown as "a-ha greatest hits". 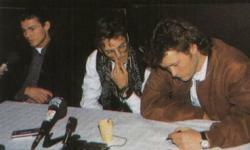 16	Still in Rome, a-ha are interviewed for "Radio Dimensione Suono". 17	a-ha perform "Move To Memphis" for the TV show "Ciao Weekend" in Rome, Italy. Afterwards, they take a flight out of Rome. 18	"Move To Memphis" is released in France. 20	MTV's "News at Night" reports on "a-ha new album". They show clips of the interview with Rebecca de Ruvo in Oslo, "Memorial Beach" unplugged, an interview with Morten (from "Week in Rock" with Steve Blame) and "Cry Wolf" live in London 26 February. 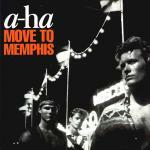 28	"Move To Memphis" is released on 3" CD in Japan. 29	a-ha arrive in Paris for two days of promotion. Day one includes an interview with Morten for the Radio station "RTL" on "Generation Laser" and an interview with a-ha on "Europe 1". 30	In France a-ha record "Move To Memphis" for two TV shows "La une est à vous" (broadcast 1992?) and "Le monde est à vous" (broadcast 1 December). "MTV XPO" shows a review of "Headlines and Deadlines" and clips of the interview with Rebecca de Ruvo in Oslo. Also on MTV, there are clips of the Morten interview with Steve Blame in Oslo on the news and the "Coca Cola report" shows a clip of "Crying In The Rain" with history facts. 1	The French show "Le monde est à vous" is broadcast and features a-ha performing "Move To Memphis". 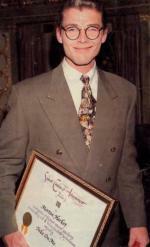 2	At the BMI awards in the Dorchester Hotel, London, Morten is awarded (on behalf of a-ha) an award for "Take On Me" being	broadcast 1,000,000 times in the US since its release. He is also interviewed for MTV news (broadcast 3 December). 3	On MTV's "News At Night" there is an interview with Morten from the BMI awards. 8? Part of Steve Blame's interview with Morten is shown on MTV's "Week In Rock". They talk about vikings. MTV's "News at Night" shows clips of the Steve Blame interview with Morten in Oslo, a-ha's history and the clip of "Crying In The Rain". 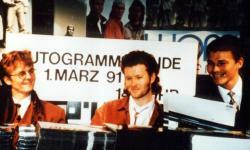 11	In Munich, a-ha appear on the German chatshow, "Gottschalk" and perform "Move To Memphis". Still in Munich, a-ha are interviewed by Ingo Schmoll for his TV show "Ragazzi" (RTL plus), they play "Memorial Beach" unplugged (broadcast 21 December). 12	On the German Mini playback show (RTL), three children mime to "Take On Me". and win the contest. 15	At the Oslo Spektrum, the last ever "Lollipop" show takes place. Amongst the guests is Morten who performs Simon & Garfunkel's "Bridge Over Troubled Water" followed by the duet "Let It Be Me" with the Swedish singer Carola. The profit from the concert goes to Worldview's work for children in Bangladesh. 21	Pål marries Lauren Savoy in "Østmarkseteren" restaurant in Oslo where the wedding dinner also takes place. Instead of the groom's speech, Pål chooses to sing the song "Angel In The Snow" for his bride. 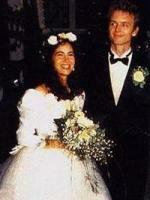 Both Morten and Mags attend with their partners. The German TV show "Ragazzi" featuring an a-ha interview and "Memorial Beach" unplugged is broadcast. In 1991 there are also a limited number of 5000 "a-ha" telephone cards made in Germany.